Delta Air Lines has formally given up on its app support for Windows Phone as the Fly Delta app is no longer operational on the platform. The app now greets users with a message that says Delta has pulled the plug on Fly Delta for Microsoft’s mobile operating system. We’re sorry for the inconvenience as this app is no longer supported. You can always visit delta.com from your mobile phone to book a flight, check in and view flight status. A button that follows the notification, however, gives users the option to update the app, giving the impression that it’s all that’s needed to get the app working back again. That is not going to be the case, though, as clicking the button simply leads to the same Delta link in Windows Store. Microsoft already removed the app from its listing, which means users will need to access the Delta booking page via a direct link. Some see this process as an inconvenience as users must visit Delta’s website instead of booking a flight right from their fingertips. The Update Now button gave the impression that Microsoft plans to release a Universal Windows Platform replacement app in the future. It’s a possibility that Delta customers can only hope for at present. For one, Microsoft did not mention any plan for a new UWP on the notice. Also, Microsoft would have waited for the app to receive updates instead of completely dropping support for the app. Right now, all a customer can do is visit Delta’s website to book flights. Delta’s move coincides with the release of IDC’s latest Worldwide Quarterly Mobile Phone Tracker. 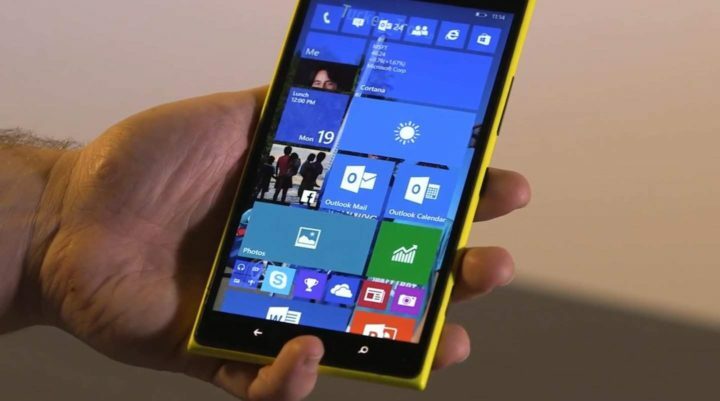 The report predicts the market share of Windows Phone will decline to 0.1 percent in 2020. Windows Phone could also hit 1 million unit shipments in four years, provided all units sell out in that period.